The eastern Sahara Desert was once home to a 45,000 km2 freshwater lake similar in surface area to the largest in the world today. 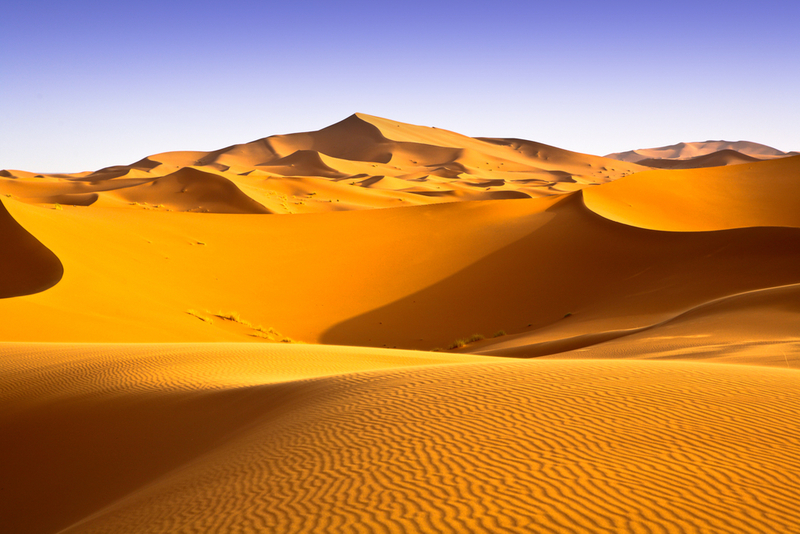 What changed the green Sahara into a desert? In ancient times, some thousand years ago, this vast area was fertile grassland. Researchers found that three ancient river systems, now buried, may have created viable routes for human migration across the Sahara to the Mediterranean region about 100,000 years ago. Those three huge rivers forced their way across a 1000km of the Sahara desert to the Mediterranean. “In 2010, prehistoric megalake was discovered beneath Sahara Desert. Formed some 250,000 years ago when the Nile River pushed through a low channel near Wadi Tushka, it flooded the eastern Sahara, creating a lake that at its highest level covered more than 42,000 square miles,” reported Smithsonian Science. 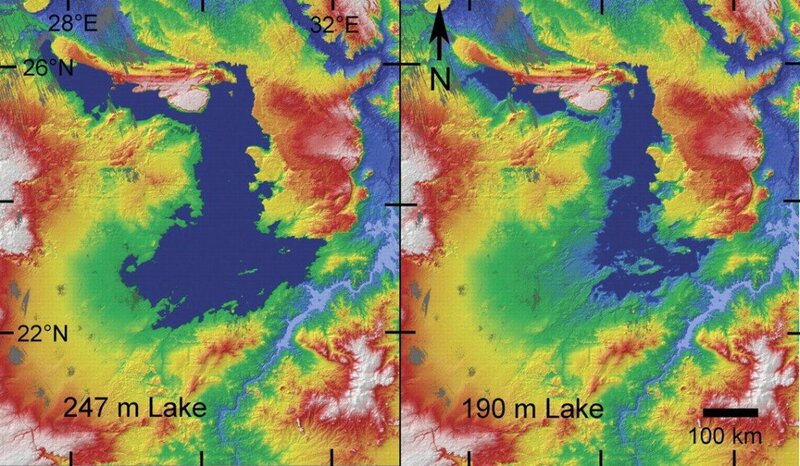 A study led by the University of Exeter scientists has revealed that the mega lake was probably formed more than one hundred thousand years ago in the White Nile River Valley in Sudan. Dr Tim Barrows of the University of Exeter and colleagues used a dating approach based on exposure to cosmic rays to measure the amount of the isotope beryllium-10 in shoreline deposits. Its abundance can be used to calculate how long rocks or sediments have been exposed at the surface of the earth. Using this method, the researchers dated the shoreline sediments to about 109,000 years ago. “The eastern Sahara Desert is one of the most climatically sensitive areas on Earth, varying from lake-studded savannah woodland to hyperarid desert on a timescale of only thousands of years,” Dr Barrows, of Geography, said. The lake could have formed when the White Nile River – one of two main tributaries of the Nile that flows through Egypt – became dammed during seasonal floods under a more intense monsoon than the area currently experiences. It would have been of comparable size by surface area to some of the largest freshwater lakes on Earth today, such as Lake Baikal in Siberia, Lake Michigan in the US and Lake Tanganyika in East Africa.